Zoe – our head nurse wins Petplan’s Vet Nurse of the Year. 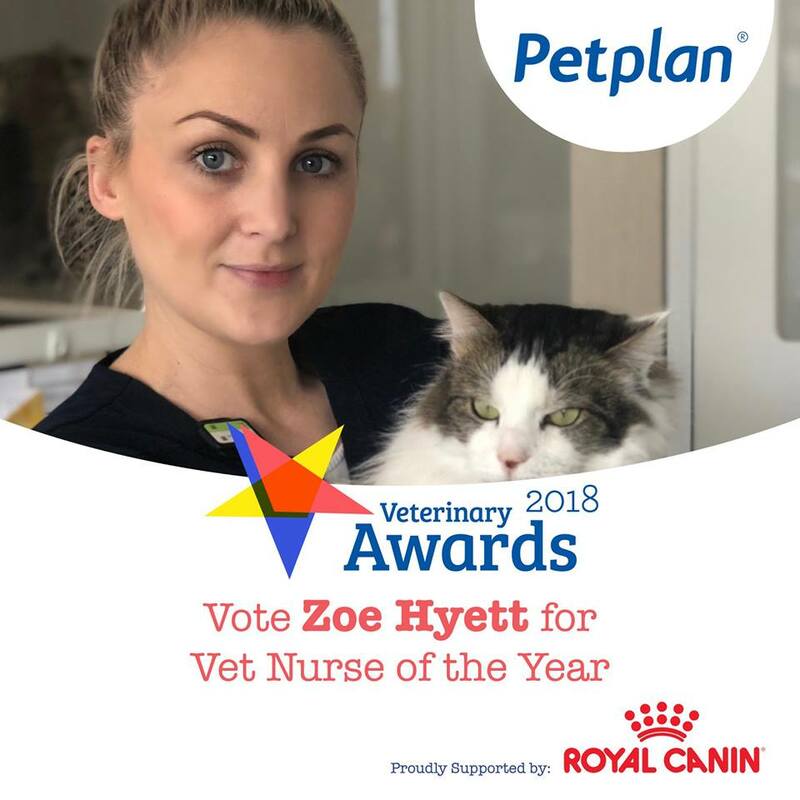 Our fantastic Head Nurse Zoe is one of 5 finalists for Petplan’s Vet Nurse of the Year and was voted as the overall winner! “Everyday I wake up I am excited to go to work, and absolutely adore our patients and clients that I have come to know and love so well. My particular areas of interest are animal nutrition and mental health / compassion fatigue in our Vets and Nurses, which I have made a huge focus in our clinic. 1) She has won our Boss a trip to Paris TWICE!! 2) She runs one of the most successful Pet Fat Fighter’s club in NZ! 3) She has a special interest in Nutrition and has participated in many courses to learn more about nutrition in various stages of dog/cat life, as well as in disease states. 4) She makes sure the clinic runs smoothly every day and is meticulous and compassionate in patient care. 5) She gives exceptional customer service and expects the same from all staff. 6) She looks after the staff’s mental health and helps them to set personal and professional goals by doing compassion fatigue/stress surveys and 3-monthly meetings with each individual. 7) She encourages all the nurses to participate in nurses’ education evenings, where we can further our knowledge and skills. Do you commute in from the Banks Peninsula Bays, work in the city, or live out of town and need veterinary attention for your pet? Copyright 2017 At The Vets. we can then either treat your pet while you are at work, or wait until you can have a consultation with a vet after work. To speed up admission you can download a form by clicking on the button below. Fill out as much detail as possible, supply daytime (work) and mobile numbers if possible, sign at the bottom, and bring it in with your pet. Please note, a small charge for the hospitalization will apply.